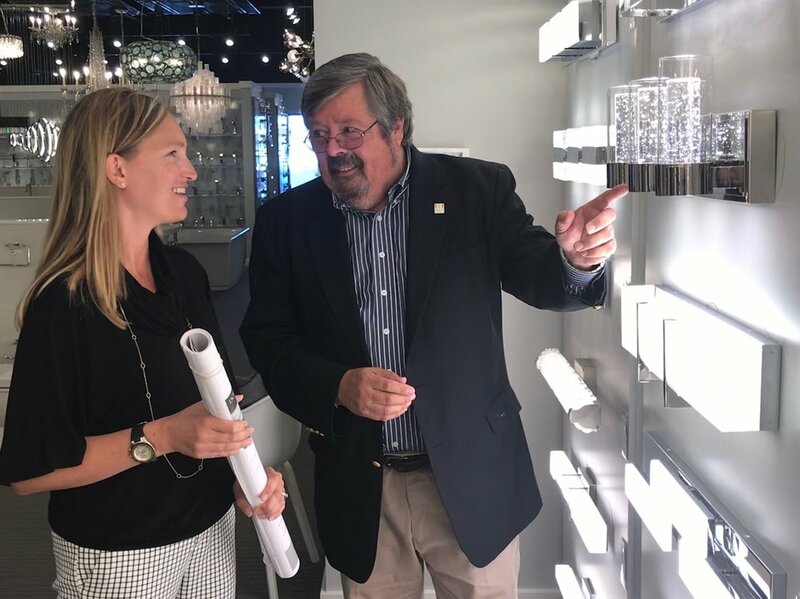 “Rewriting the Rules on Residential Lighting"
"Rewriting the Rules on Kitchen Lighting"
"90 Minutes to an Award-Winning Kitchen"
"Day or Night, Let There Be Light!" "Shining a Light on Home Modifications"
"Creative Ways to Daylight Your Kitchen & Bath"
Shining a Light on Home Modifications"
New England, Providence, R.I. March 23, 2017. Doug speaks frequently to NKBA Chapter meetings around the country. Here, he shares his original research and case studies with a Denver audience.